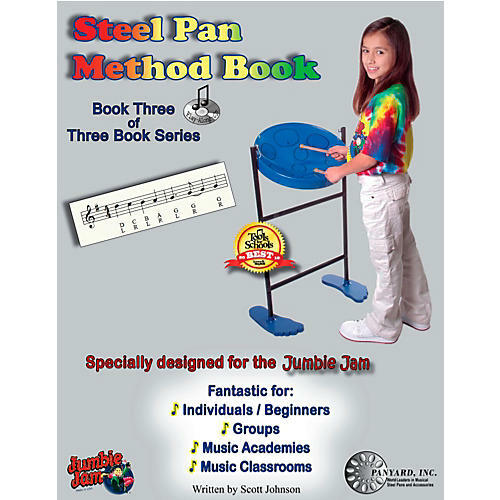 Develop correct music playing skills and learn music theory while having fun playing the Jumbie Jam Steel Pan. This three book series (each book sold separately) is designed to teach basic to intermediate music playing skills and theory. Each book advances the player while introducing different musical technics. Designed to use with the Jumbie Jam and can be used with other instruments. Includes an accompaniment CD.